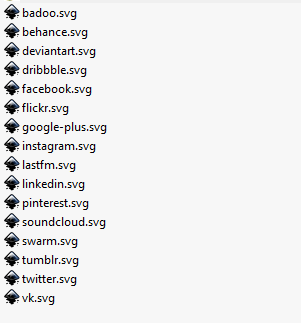 It would be really cool to have ablity import assest from svg files with multiply selection, assuming one svg - one asset when importing, and also title of asset taken from svg file name. Miss this feature too. As it is no you must add one by one and thats kinda tedious. This was actually muc easier than I though. 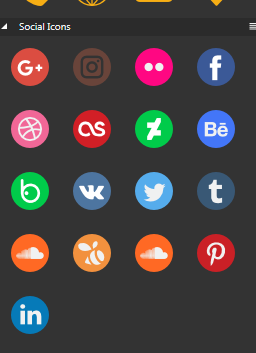 Just open the the SVG containing the icons (group icons if needed), select all and then drag them into the desired assets panel. Done. (only Mac OS X) if (on Windows) install "bash to get it without problems"
go in your folder path with "cd /your/folder/path"
copy all SVG files in only one file width "cat *.svg > index.svg"
!!! 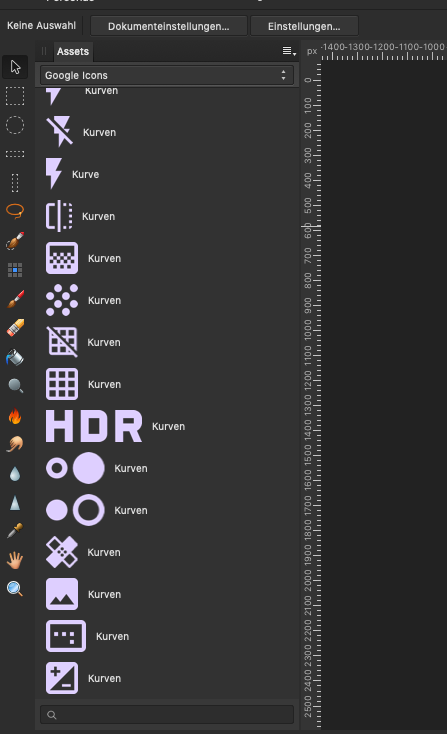 Now your SVG coped as "index.svg" !!! open your file on the Browser and check all error and fix it.